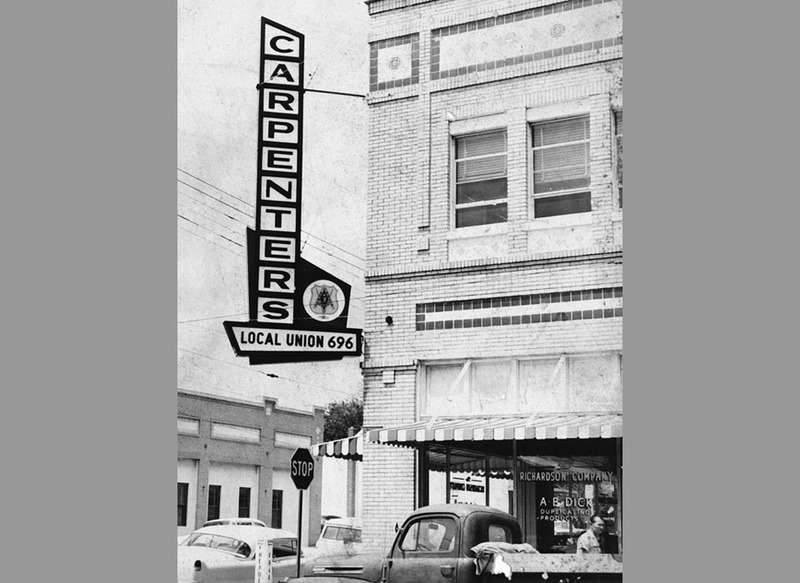 The historic Carpenters Union, located in the Farris Building, on the north end of downtown, at the corner of Franklin Street and Henderson Avenue in 1955. The top half of the vintage concrete street marker is just visible. 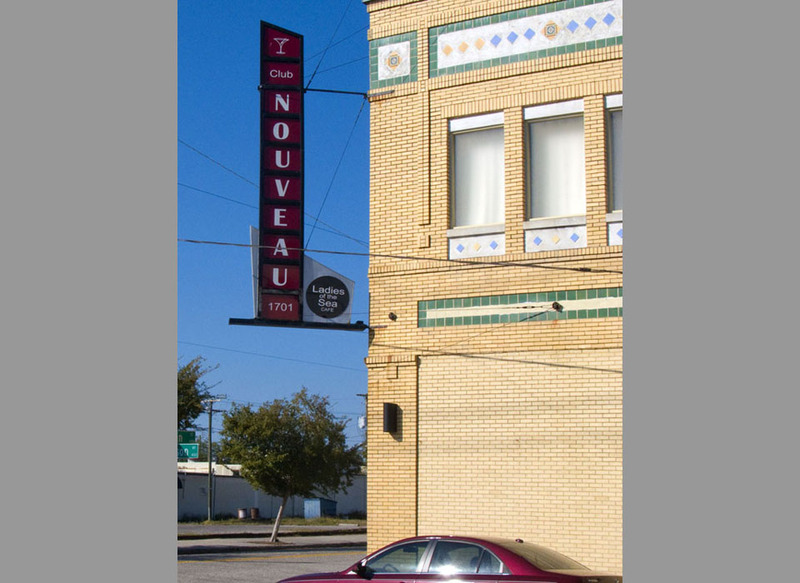 This vintage 1920s building was restored into a popular nightclub a few years ago.